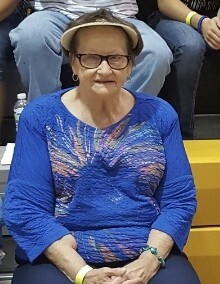 Sarah Elizabeth Costner 70 of Hickory died Monday, April 1st, 2019 at Frye Regional Medical Center. Born December 30th, 1948 she was the daughter of Wilma Wilson Brittain of Hickory and the late James Daubert Brittain. Her mother Wilma Wilson Brittain of Hickory; two daughters, Tina Young and husband David of Newton and Amy Whittington of Charlotte; a son, James Costner and wife Lori of Rutherford College; a sister, Lorrayne Clark and husband Dean; survive her. Her husband Grady "Allen" Costner, a daughter, Kathleen Costner and a brother, James Brittain preceded her in death. A Celebration of Life Service will be 1:00 pm Friday April 5, 2019 at West Hickory Baptist Church with Pastor Scott Frady officiating. The family will receive friends immediately following the service at the church. Memorials may be made to West Hickory Lions Club VIP or to Kidney Foundation 620 Montana Drive Charlotte, North Carolina 28216. Please sign the online guestbook at www.jenkinsfuneralhome.net. The Costner family has entrusted arrangements to Jenkins Funeral Home and Cremation Service in Newton 828-464-1555.